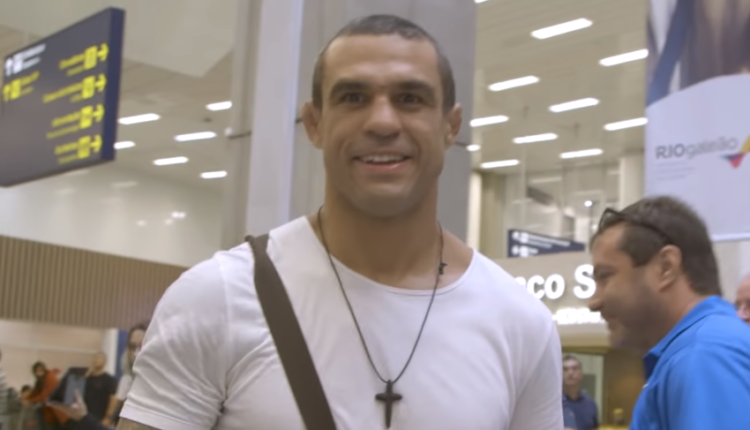 With Bellator and ONE Championship looking at high profile free agents, it seems that Vitor Belfort’s time as a retired fighter has come to a close. As a guest on Ariel Helwani’s MMA Show, the former UFC champion announced the end of his retirement, claiming he’s available on the MMA open market. “I could not choose a better time for me being a free agent,” Belfort said, referencing the rise of promotions like Bellator, ONE Championship, Brave CF and Rizin, who have been eyeing expansion with big money signings. Belfort announced his retirement in May, as he’d be knocked out by current Bellator fighter Lyoto Machida, at UFC 224, both men’s final fight inside the Octagon. “If you could choose one of those fights to happen again, which one would you like to see?” he wrote in a recent Instagram post, before hinting at fights with Wanderlei Silva, Tito Ortiz, Chuck Liddell, Michael Bisping and Dan Henderson.